It may seem silly to start a meme when I can't seem to blog consistently as it is. In my defense, I feel like a new person this week. What is a meme? 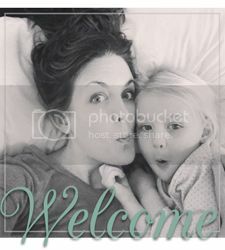 It's one of the million things done in bloggy land that I have avoided along with giveaways and advertising. I have nothing against these things. I just simply do well to post at all sometimes. So why start this meme? Because I feel like there isn't enough acknowledgement of a job well done these days. What better day to pat people on the back than the middle of the week? Here goes. ...myself. Tacky, I know. While feeling like death for the past three months I was way too hard on myself about how incapable I often felt. My child may be a little bit addicted to TV now. My dog may win the first nanny/dog award (see video). My husband may be neglected beyond belief. BUT, we have all survived. My house didn't burn down or spontaneously combust due to too much filth. I am shockingly proud of myself. ...my friend Skip. Skip also watched Lila during a doctor appointment. I have heard that all kids love Skip and Lila is no exception. It is so very nice to feel like your child is in good hands. We are lucky to have family around who love to babysit. Having friends who can and love to do so as well is more than we could have hoped for. ...Carson. I think she can sense when Lila is having a bad day. There have been a string of them this week with Monday being the worst one. Carson isn't difficult on a normal day, but she seems to just know to be extra special easy going and happy when Lila is in crisis lockdown mode. I am sure Carson's temper-tantrum, toddler days are coming. I am eating up her sweet, understanding behavior while I can! I love her ponytail! How cute is she?! I'm terrible with a camera! Awwww who wouldn't offer to watch your sweet little girl? Her gentleness amazes me...even Samantha is rougher! So glad that you are feeling better.